Rent a Budget Car and Breathe Easy! Budget Utah maintains a 100% Smoke-Free Fleet with enhanced inspections that keep cars fresh. Reserve a smoke-free rental car today and rent with peace of mind. Why do we offer a Smoke-Free fleet? Budget also has initiated an enhanced inspection process to help ensure a pleasant rental experience for all. Each vehicle will be confirmed “smoke-free” when it is provided to a customer. Upon its return, it will be inspected. If it is determined that the vehicle must be cleaned of tobacco odor and residue, the renter will be assessed a fee of up to $250. Just as we assess cleaning fees for excess dirt and soilage in vehicles, the Return Agent will inspect the vehicle for physical evidence of smoking (ash/butts in the vehicle, cigarette burns, etc.) as well as smoke odor. As necessary, photos will be taken to substantiate the cleaning fee. In most cases, the inspection and customer notification will occur at the time of return by our Return Agent in the vehicle return area. If the Return Agent finds evidence that the car has been smoked in and/or it smells of smoke, the customer will be informed that they might be assessed a cleaning fee of up to $250. The customer will then be given a receipt as per standard procedure. Later, a location manager will inspect the vehicle to validate the findings of the Return Agent to determine if a cleaning fee is to be assessed. If so, the customer will be notified in writing that the fee has been charged to the credit card we have on file. How to Avoid Paying a Cleaning Fee? 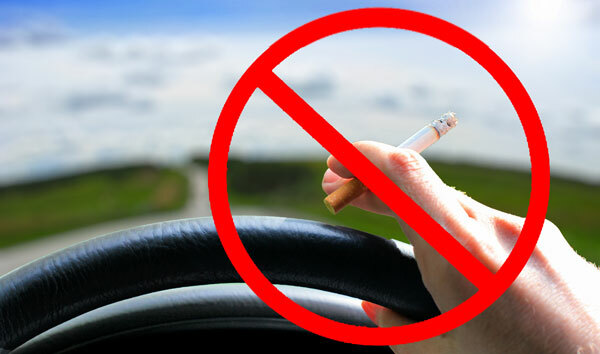 To avoid paying the fee, customers should refrain from smoking in or near the vehicle at all times. Rental vehicles should be thoroughly inspected by the customer prior to leaving the rental location. Customers should check the car for body or interior damage, soil or dirt, and to ensure that it is smoke-free. If, at the time of rental check-out, the vehicle is not to the customer’s satisfaction, the customer should immediately visit the rental counter and speak with an agent before leaving our facility. The customer will be provided with another vehicle, if one is available, and no fees of any kind will be assessed. As new vehicles enter the fleet, or existing vehicles are inspected and found to be smoke-free, a sticker will be placed on the rear side window informing the customer that the vehicle is smoke-free, that smoking in the vehicle is prohibited, and that if cleaning of tobacco residue and odors is required, the $250 fee will be assessed. This Smoke-Free Fleet policy is in effect for 100% of our fleet, not only those vehicles with window stickers.